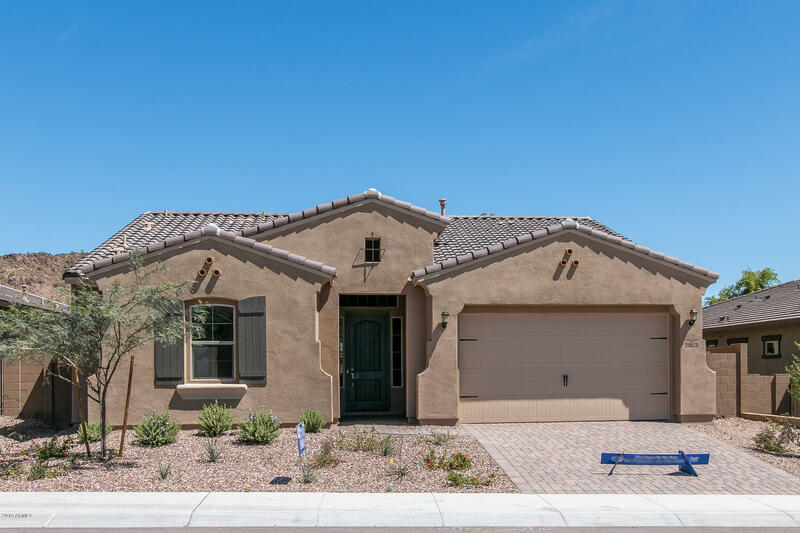 All WESTWING MOUNTAIN PARCEL homes currently listed for sale in Peoria as of 04/23/2019 are shown below. You can change the search criteria at any time by pressing the 'Change Search' button below. "Stunning Tuscan single level home. 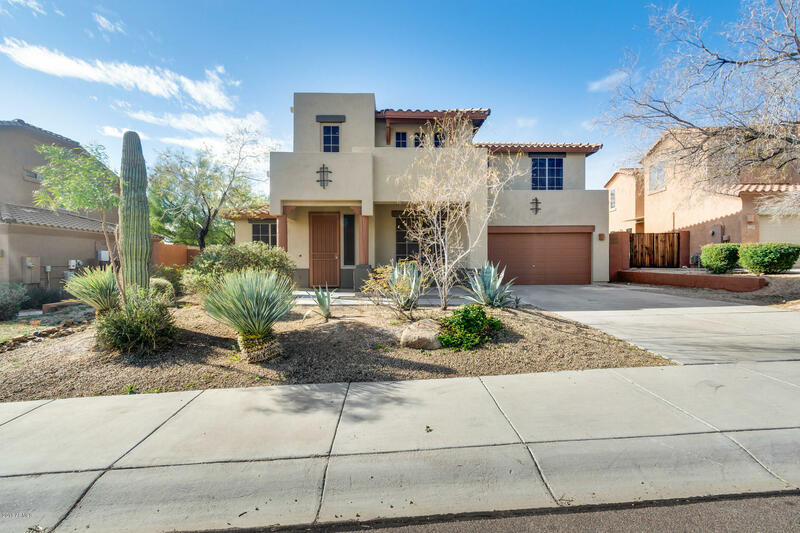 Located in a quaint gated community with spectacular mountain views.This pristine home has an exquisite exterior. The fabulous interior features, stone floors,A chefs dream kitchen with high end stainless appliances. Granite countertops, fantastic island, beautiful cabinets and much more. The back patio has a amazing heated pool with a water fall and separate spa.It is plumbed in for you to design your own built in grill for your complete resort living. This i"
"Beautiful T. W. Lewis home high above West Wing Pkwy w private cul-de-sac lot & view fencing. Paver driveway, 4 car, extended length & height garage & storage. Formal LR, DR, Great Rm, 4 bedrooms, 4 baths, BR5 or den, in the main house. Plus 325 sf. casita w. full bath. 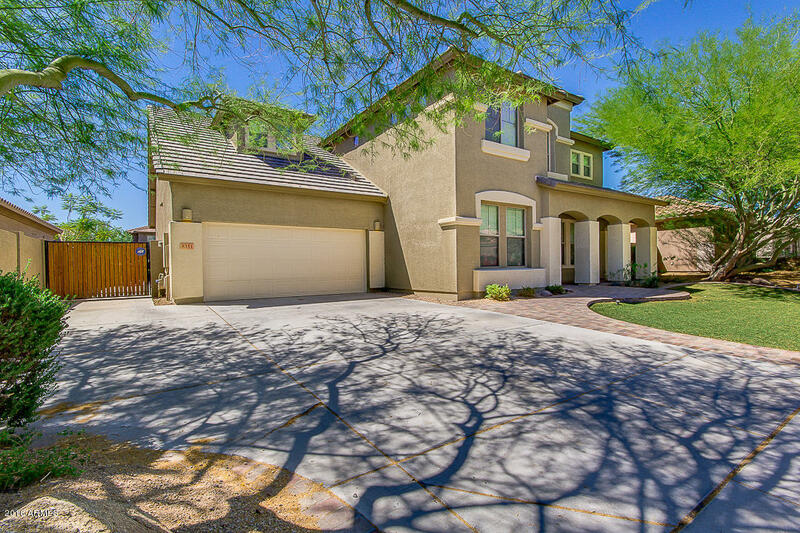 Soaring 12 foot ceilings, crown molding, tall windows overlooking resort-style back yard. Kitchen features Viking appliances, wine bar & extra storage. Surround sound, ceiling fans throughout, solid core upgraded Knotty Alder do"
"Pinterest comes to life! Cul de sac. Courtyard. Charming French country designs throughout. Massive living w/fireplace, 12 foot ceilings, tons of windows and light. Dream kitchen! Quartz counters, stainless steel, whisper quiet dishwasher, 5 burner gas cook top, Sub Zero, pantry w/pull out shelves, double ovens, microwave. European Pantry w/cabinetry, wine fridges, backsplash/plank shelving. Barn door to a great multi purpose room. Master retreat is a must see! 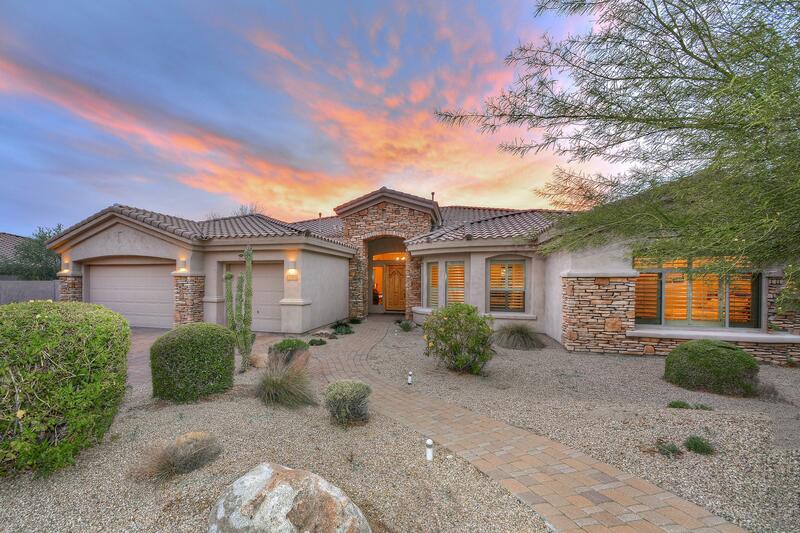 French chandeliers, lighted jewel"
"This gorgeous home is located on a quiet cul-de-sac lot at the base of West Wing Mountain Preserve; a highly desirable Northwest Peoria Community that is surrounded by Million Dollar Views! Sellers have spent $30K on the fully owned Solar that's only 2 years old! 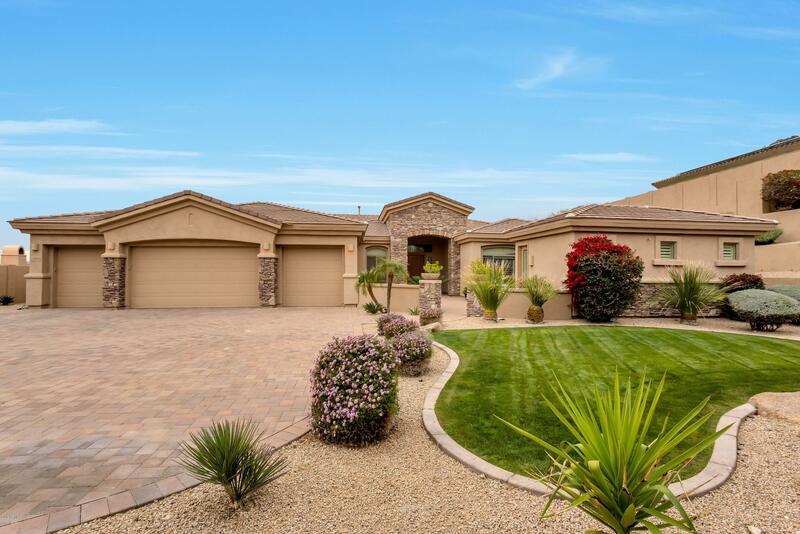 Upon entry of this stunning luxury property, you'll find an open great-room floor plan that boasts bright and open spaces plus large picture windows in the main living area that overlook the extraordinary view. A beautiful chefs style k"
"Enjoy the outdoor lifestyle with this spectacular resort backyard in WestWing Mountain. 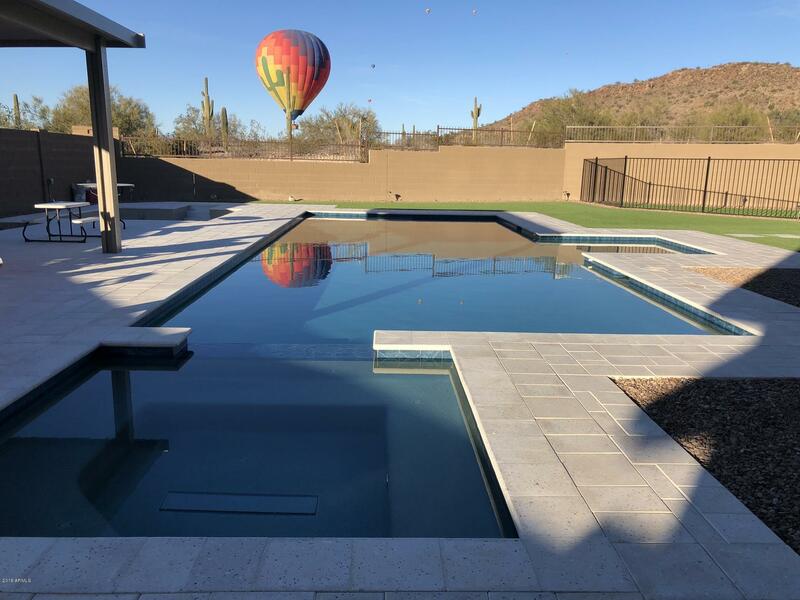 1/3 of an acre, large pool, hot tub, two pergolas, 2500+ sq ft of artificial grass, hardscape, pavers, total perfection in the serene landscape with beautiful views. Less than one year old home built by Mattamy - still under warranty, wood look tile in every room (no carpet anywhere! ), upgraded cabinets, granite countertops and pottery barn lighting. 4 bedroom, Den, 3.5 baths, all bedrooms have bathroom ac"
"Welcome to this elegant, enchanted one of a kind home with privacy and gorgeous views backing to Westwing Mountain. Unique features abound. This Camelot semi-custom boasts rounded doorways, a charming interior courtyard with fireplace and potted plant garden. Wood floor. fireplace and wood beams in the family room ceiling are just a few of the high end upgrades. Kitchen includes large island, Kitchen-aide appliances with gas cook top & warming drawer. Full bed & bath downstairs. 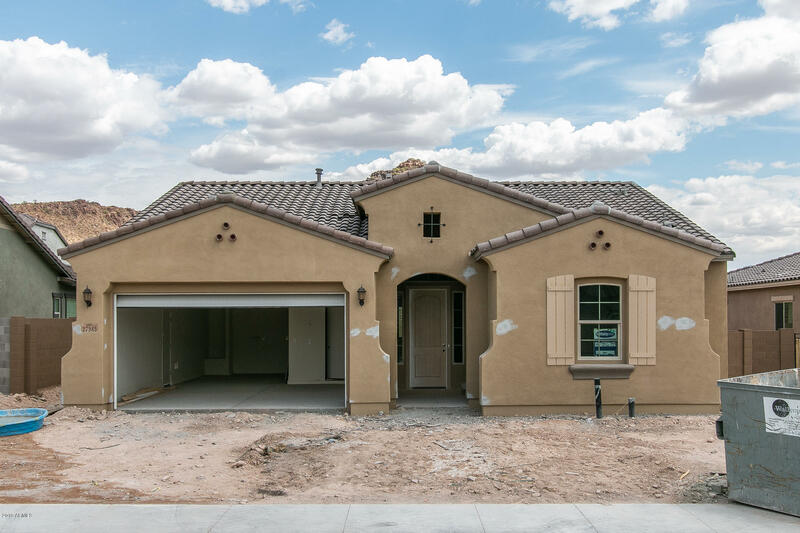 Upstairs you fin"
"You'll love this beautiful BRAND NEW, MOVE-IN ready home in Escena West Wing offering 4 bedrooms + den & teen/bonus room & 3.5 baths in 3422 SqFt. Great room floor plan with split bedrooms. The gourmet kitchen features grey cabinetry with crown molding, granite countertops, subway tile backsplash, gas cooktop, stainless appliances & large island with breakfast bar. Sliding doors lead out to the covered patio & backyard ready for your own personal landscaped design. The master retreat a private b"
"Move in ready,immaculate and sought after close proximity to Lake Pleasant on N/S lot w/sparkling Finest Finish blue quartz salt water pool w/stacked stone & 2 sheer descent waterfalls plus elevated seating area, tasteful interior w/full bed & bath down and huge loft area currently used as exercise area, vaulted master has sitting room, extensive tile in all the right places, upgraded corian, maple, upgraded appliances 2-tone paint, ceiling fans, stone front elevation, laundry cabinets, 4 car ta"
"THIS HOME HAS IT ALL!!! HUGE KITCHEN, GRANITE COUNTERTOPS, KITCHEN ISLAND, BUTLER'S PANTRY, 42' CABINETS IN THE BRIGHT AND OPEN KITCHEN, DOWNSTAIRS DEN, WOOD BLINDS THROUGHOUT, NEUTRAL TILE, DESIGNER COLOR PAINTED INTERIOR WALLS, SPACIOUS 3 CAR GARAGE WITH EPOXY FLOOR COATING AND BUILT IN CABINETRY, HUGE PLAYROOM/GAME ROOM, WOOD STAIRCASE, RV GATE AND MORE. 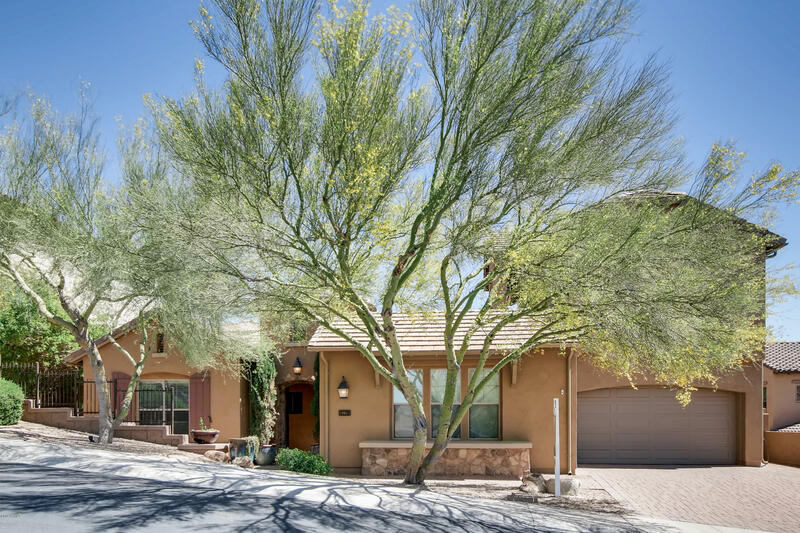 MASTER BEDROOM HAS SEPERATE TUB & SHOWER, WALK-IN CLOSET, DOUBLE SINKS ALL OF THESE THINGS COUPLED WITH THE TRANQUIL MOUNTAIN BACKDROP, GREA"
"ABSOLUTELY GORGEOUS WESTWING MOUNTAIN HOME WITH MOUNTAIN VIEWS AND STUNNING BACKYARD! This beautiful property comes with a built in BBQ island, Whole house music system, Bose Surround 5.1 in family room, Whole house alarm system (no contract), 3 Car Garage, New Paint, Pebble Tec play pool, Unobstructed Mountain Views and Appliances included (refrigerator is negotiable)! Includes 1 year home warranty. Make your appointment today as this one will go quick!" 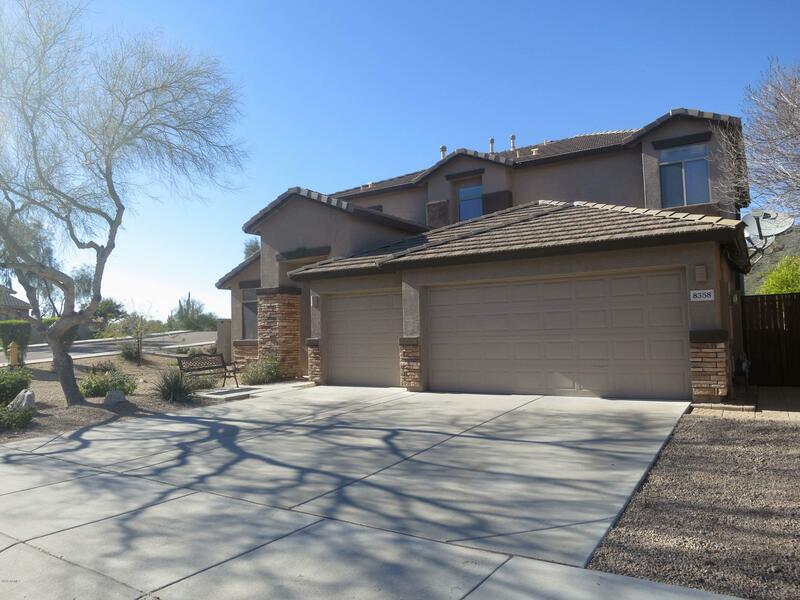 "This gorgeous home is located in the highly sought after community, West Wing. The vaulted ceilings throughout the house enhance the living space. In the formal living room, there is plenty of space for all your friends and family! The kitchen is a chef's delight! It includes a large island, granite counters, and sleek appliances! Upstairs there is a loft that is a bonus living space, perfect for the kids and their friends! 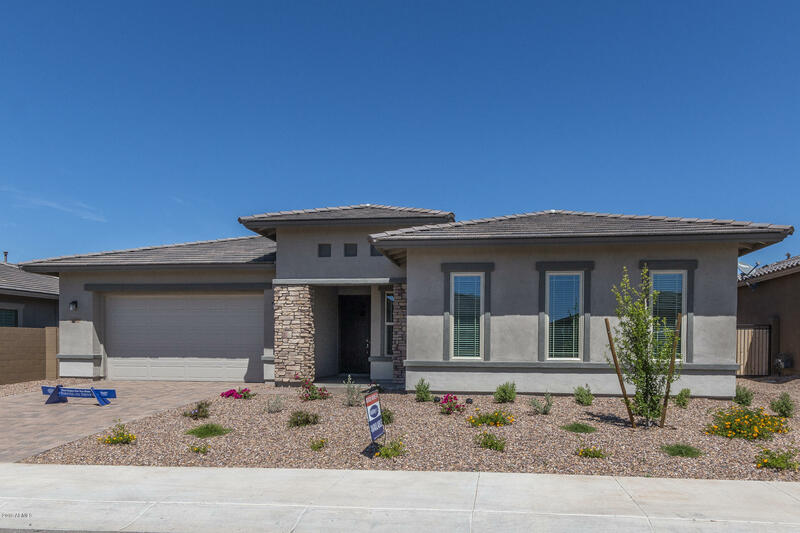 The master bed and bath has separate vanities, beautiful natural lightin"
"This beautiful floorplan in our Pradera at West Wing community has so many amazing features! Inside features include a gorgeous gourmet kitchen with gas cooktop, 42'' upper cabinets. 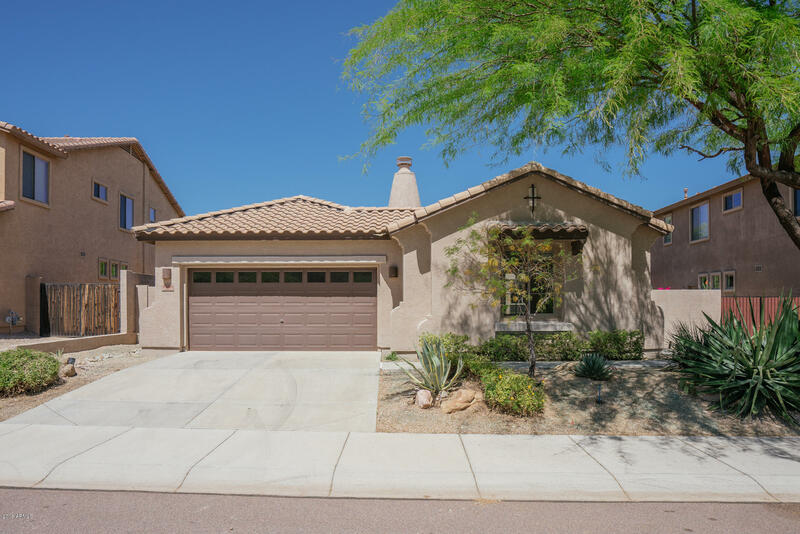 Other interior features include two tone paint, pavers at the driveway & sidewalk, ceiling fan pre wires in the bedrooms, wood look plank tile, and upgraded carpet in the bedrooms. This home is scheduled to be complete by the end of May 2019. 10 year structural warranty included!" 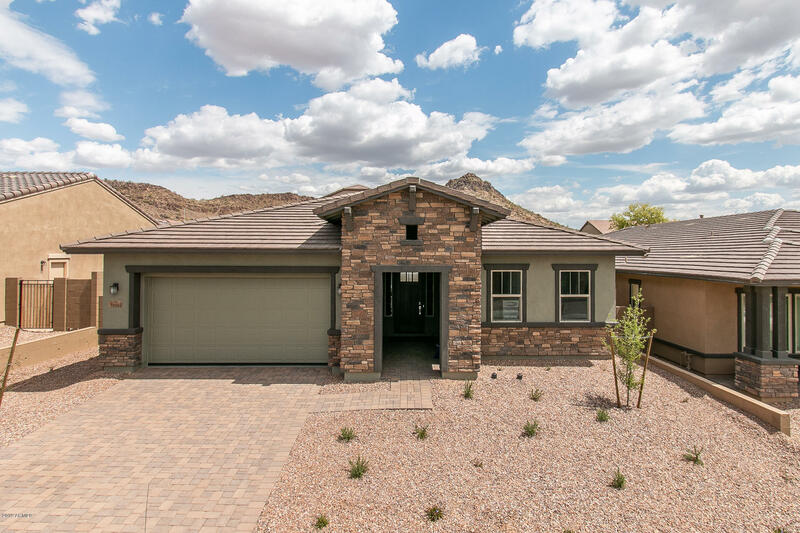 "This beautiful floorplan in our Pradera at West Wing community has so many amazing features! Inside features include a gorgeous gourmet kitchen with 42'' white linen cabinets. 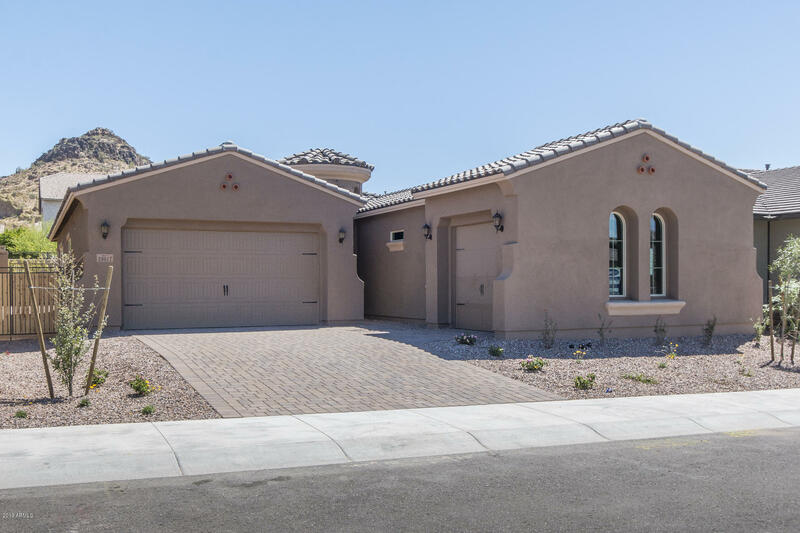 Other interior features include a 4th bedroom suite with a full bath, 12 ft sliding glass door in the great room, two tone paint, and an extended covered patio! 10 year structural warranty included!" "You'll love this BRAND NEW, move-in ready home in West Wing that offers 4 bedrooms + 3.5 baths in 2927 SqFt. Great room floor plan with formal dining & split bedrooms. The gourmet kitchen is beautifully finished with espresso maple cabinetry, granite countertops, tile backsplash, stainless appliances, island with breakfast bar, walk-in pantry & butler's pantry. Sliding doors lead out from the casual dining area to the covered patio and backyard with mountain views! The master bedroom has a pri"
"You'll love this BRAND NEW beautiful home featuring tons of upgrades in Pradera West Wing community! 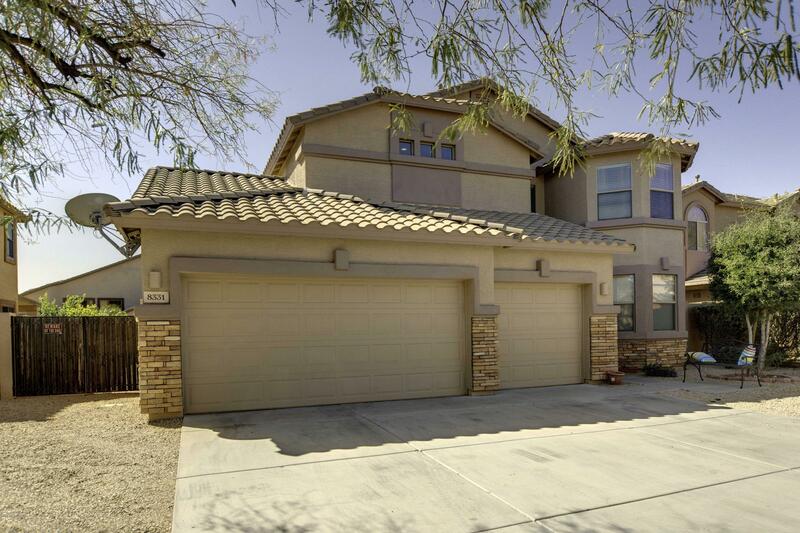 This spacious home offers 3 bedrooms + den/office & 2.5 baths in 2379 SqFt with formal dining area and open great room. The gourmet eat-in kitchen has an abundance of upgraded cabinetry with crown molding, granite countertops, tile backsplash, gas cooktop, stainless appliances & large island with breakfast bar & pendant lighting. 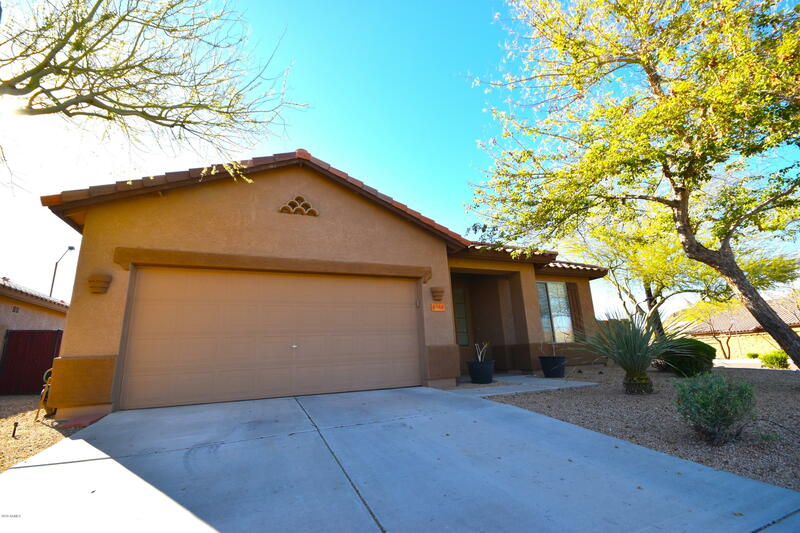 Sliding doors lead out to the covered patio and backyard ready for "
"Extremely well maintained, single story 3 bedroom + office/den home available in very upscale Westwing Mountain. 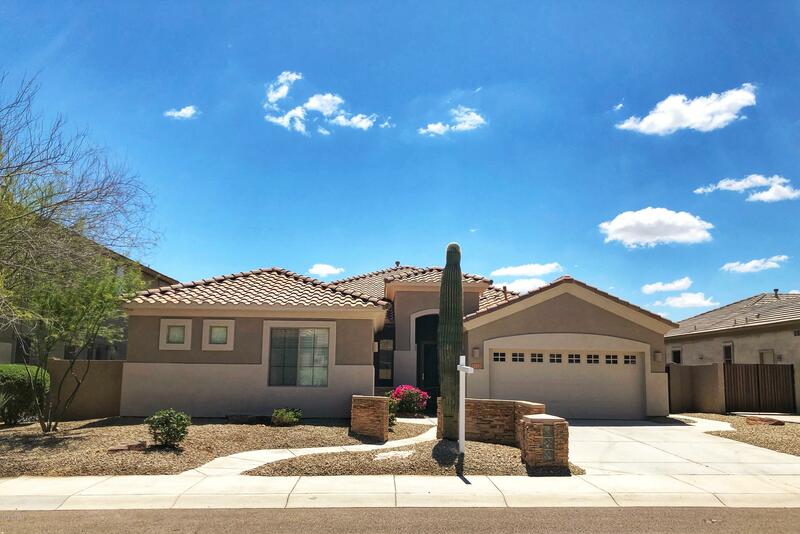 Excellent Peoria location, within walking distance to Westwing Park and just minutes from shopping and dining at Lake Pleasant Crossing. Inside is immaculate. You will love the spacious greatroom featuring wood-look flooring, plantation shutters and a charming stone fireplace. Designed for entertaining, the open kitchen will delight any chef with ss appliances, sleek countertops and a"
"The lucky buyer of this home will be moving into a beautiful home featuring a stunning remodel. Front room designed for play, and comfortable living room is open to the dining area for lots of entertaining & hosting. In the kitchen, you'll love the refinished cabinetry, granite countertops, & beautiful tile backsplash. Jack & Jill second bath is accessible from all 3 bedrooms. 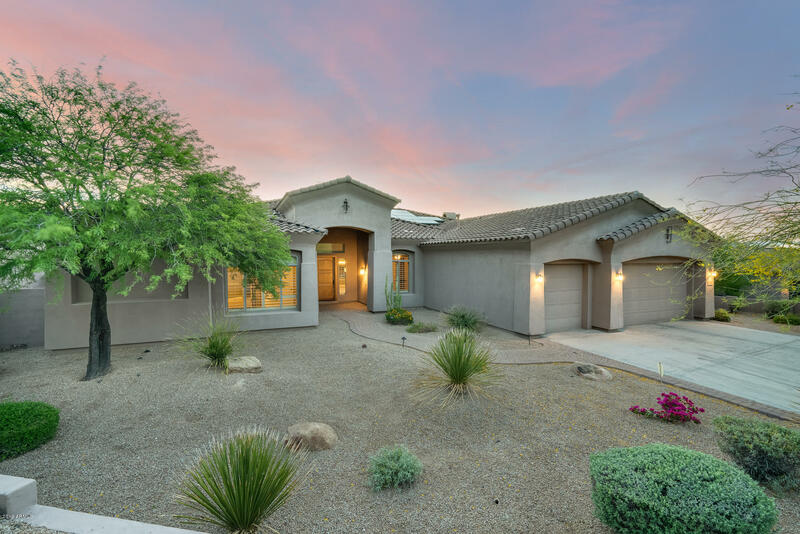 Spacious master suite sports a walk-in closet & the master bath boasts dual vanity, shower & garden tub, all with beauti"
"This Peoria one-story offers a fireplace, vaulted ceilings, a covered patio, and a two-car garage. Upgraded features include fresh interior paint. Home comes with a 30-day buyback guarantee. Terms and conditions apply."